The intuitive, state-of-the-art MySPEED™ drive system of our LM3 models engages once the handle is pushed forward. If you walk faster the lawnmower speed increases effortlessly. Just grab the handle, start to walk and see how easy and comfortable mowing can be. 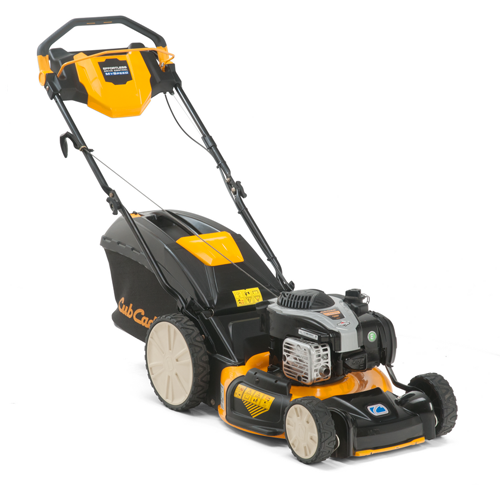 The 4-in-1 system with side discharge and mulching as standard, high rear wheels and a hard top grass box with fill indicator means that the LM3 range of lawnmowers gives you the freedom to select the ideal discharge solution for all conditions. The Briggs & Stratton engines with ReadyStart® Technology and Start Guarantee® let you start the mower more easily and mow with confidence. Available on the LM3 CR46S and LM3 CR53S. High rear wheels help you to negotiate potholes and uneven lawns effortlessly. For ultra-comfortable handling and smooth driving. The dustproof hard-top grass bag with fill indicator means less dust during dry periods, while the fill indicator flap indicates when the grass bag is full and needs emptying. 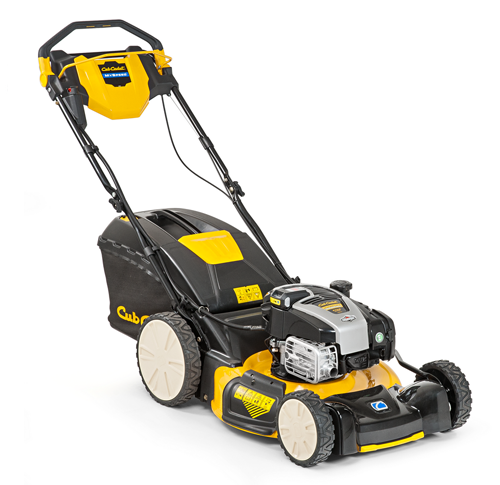 With the caster wheels this mower gives you the highest manoeuvrability and is perfect when there are many obstacles on lawn such as bushes and trees. Only available on the LM3 ER53. Six speeds let you adjust your pace to every setting: slower on tighter curves; faster for larger areas. 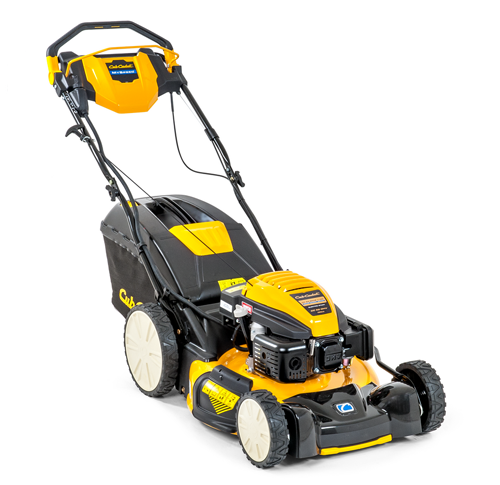 4-in-1 gives you optimal mower flexibility with four usage modes. 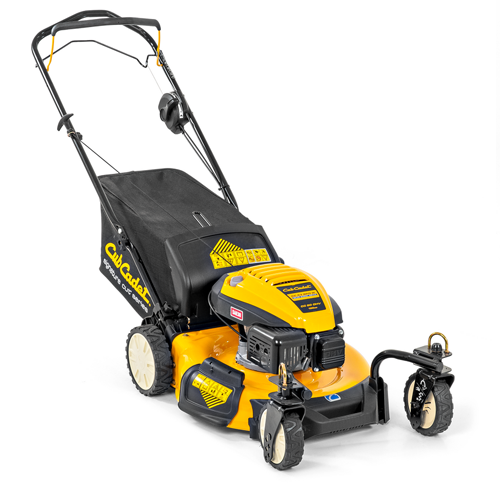 You can attach a side deflector to the deck and turn the unit into a side-discharging mower. You can operate it as a rear-discharger or attach a collecting bag – or use the mulching option as the fourth operation option. Giving you freedom to select the ideal discharge solution, whatever the condition.